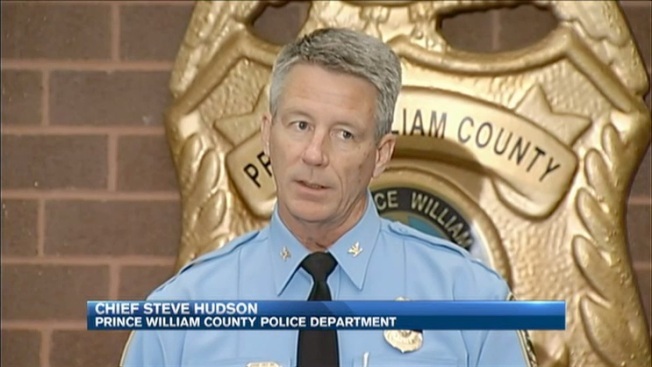 One day after rejoining the police force, an officer in northern Virginia was shot to death. Officer Ashley Guindon was killed responding to a domestic dispute that ended with another woman killed and two other officers in the hospital, according to investigators. Pentagon employee Ronald Hamilton, 32, has been arrested on murder charges in the case. He is being held without bond at the Prince William County Adult Detention Center on charges that include the murder of a law enforcement officer. Hamilton will be arraigned Monday. Police in Merrimack, New Hampshire, tell Necn they were contacted by authorities in Virginia Saturday night and notified family members of Guindon's death. "Ashley was from the Merrimack High School Class of 2005. The theme of her class was, fittingly, "Forever Young." This class has known more than its share of loss as she is known to be the sixth member of that class to have passed. In her yearbook she wrote, "Live for something rather than die for nothing." At MHS we live by the motto, "Believe, go forward, and inspire." We believe that Ashley not only embraced our motto, she personified it. Our thoughts and prayers are with her family at this time. We will have a moment of silence for her at the school on Monday, at our next school board meeting, and we will remember her service to others on graduation day as well." Guindon also had connections to Massachusetts. She was the niece of West Springfield Police Detective Thomas Guindon. The situation is hard for other members of the police department in Prince William, Virginia, to put into words. During a press conference, officials said that "Prince William County Police Department is in deep mourning over the loss of Ashley Guidon." "She was sworn in yesterday and this was her first day working...the whole thing is just tragic," said Officer Jonathan Perok, Prince William County, Virginia Police.